As a business, having water damage, fire damage or any other disaster problem can be an extremely detrimental situation to business continuity. In working with our commercial clients, our primary goal is to restore and recover with minimal impact to the business’ functions on a daily basis. Our expertise in commercial disaster restoration is a valuable asset to our clients; due to the fact our experience maximizes the efficiency of our technicians working on commercial losses. As is the case in any property damage loss, quick response is a key factor in minimizing the negative impact of the loss. 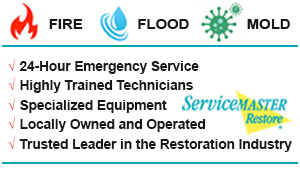 At ServiceMaster we pride ourselves on our quick response capabilities when providing commercial disaster restoration. 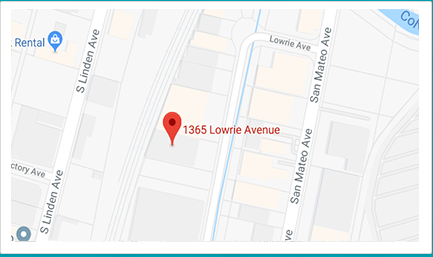 Working out of two locations on the Peninsula our teams are strategically placed to meet a wide geographic base of clients, cutting down on our response time to any potential loss. In addition to response time, our teams work together in large loss scenarios, expanding our capabilities to service clients who experience disasters on a larger scale. For clients who prefer to be on our priority loss program we recommend signing up for our 866-Recover program. This program enables clients to gain the priority standing in loss situations, ensuring our teams respond first at their business, before any other. As an added value, there are NO fees for signing up under this program and there are no obligations to fulfill. To sign up or if you would like more information about the ServiceMaster commercial services, please contact us at (800) 439-8833.